Following a 3-1 loss to Bayern Munchen, Hoffenheim recorded a 4-2 win over Freiburg on the road, with the team putting an end to their seven-game winless run in Bundesliga. Hoffenheim remained in the race for a place in the Champions League and a win over Fortuna Dusseldorf on Matchday 20 will see them move one step closer to meeting the goal. Julian Nagelsmann’s men are a real force to be reckoned with at home and we predict that they are going to prove their worth on the field. 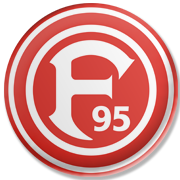 Fortuna Dusseldorf, on the other hand, have been in a fine form of late, but seeing that they produce better showings at home than on the travels, we do not believe that the newcomers are going to spoil Hoffenheim’s party at PreZero Arena in this weekend. In their last meeting in Sinsheim Hoffenheim crushed Fortuna 3-0. Kerem Demirbay is a product of Schalke 04 football academy. After playing for die Knappen from 1999 to 2007 he joined Borussia Dortmund and it has to be noted that he played for Wattenscheid during his youth career as well. The German footballer of Turkish descent made 28 appearances for Borussia Dortmund II before joining Hamburger SV senior team in 2013. However, you should know that he played no more than three games in Bundesliga for die Rothosen. Kerem Demirbay played for Kaiserslautern and Fortuna Dusseldorf on loan from 2014 to 2016 and he moved to Hoffenheim in the summer of 2016. Kerem Demirbay scored six goals, while providing ten assists for his teammates in the 2016/2017 Bundesliga campaign. Demirbay, who was born in Herten, Germany on July 3, 1993 is an attacking midfielder, but he is used as both central and right midfielder as well. The Hoffenheim ace played international youth football for Turkey, but he decided to represent Germany at senior level. Kerem Demirbay made his debut for Germany in a friendly against Denmark on June 6, 2017.